It has been a little over a month since I have been using the Nexus 5x as my main phone. I have been very happy with it. For full clarification, I currently been using the phone on the Verizon network. Biggest grips is Voicemail. Out of the box, there is no visual voice mail. Expected, but still think that in today's world, that should be built into the OS and not and add on by the carrier or manufacture or 3rd party app. But, that is my personal opinion. 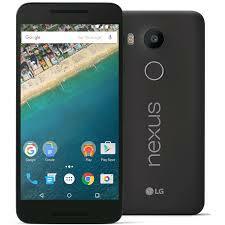 I think honestly, is the biggest weakness for a Nexus phone to go "mainstream". I know that is not really their target market, and I know workarounds that are really better. Right now, I am using YouMail and have been pretty happy with it. Willing to go pro, but I have not been able to get it reliable alert me when I have a message. Right now, knowing that I missed a called, has alerted me to check the YouMail app for a message. Good, but would rather it alert me all the time itself. Do you have a better app? Let me know and I will put it on the list to try it out. Another issue that i didn't think I would run into, but have (only a couple times) is I have too many apps open and had it freeze, run out of memory. Once it was enough, that I got impatience and force restarted the phone. So, while, I still think that 2 GB was is a little slim and wish I had a little more. But really only if you are lazy or really trying to tax the system, it is fine. I am just stating a compliant that I have notice a few times. Not crazy and not worth not getting the phone but wanted to do full disclosure. I still find the finger print reader to be the best on the market. So fast and accurate. The OS, Marshmallow is great!!! More to come after the New Year!! !